A microhistory in the vein of Salt and Cod exploring the biological, evolutionary, and cultural history of one of the world's most fascinating fibers. Most people don't give a second thought to the stuff on their head, but hair has played a crucial role in in fashion, the arts, sports, commerce, forensics, and industry. 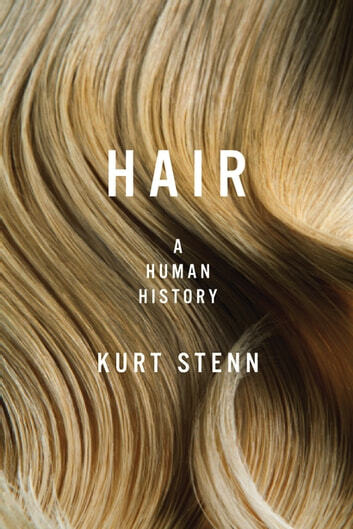 In Hair, Kurt Stenn — one of the world's foremost hair follicle experts — takes readers on global journey through history, from fur merchant associations and sheep farms to medical clinics and patient support groups, to show the remarkable impact hair has had on human life. From a completely bald beauty queen with alopecia to the famed hair-hang circus act, Stenn weaves the history of hair through a variety of captivating examples, with sources varying from renaissance merchants’ diaries to interviews with wig makers, modern barbers, and more. In addition to expelling the biological basis and the evolutionary history of hair, the fiber is put into context: hair in history (as tied to textile mills and merchant associations), hair as a construct for cultural and self-identity, hair in the arts (as the material for artist's brushes and musical instruments), hair as commodity (used for everything from the inner lining of tennis balls to an absorbent to clean up oil spills), and hair as evidence in criminology. Perfect for fans of Mark Kurlansky, Hair is a compelling read based solidly in historical and scientific research that will delight any reader who wants to know more about the world around them.